1. 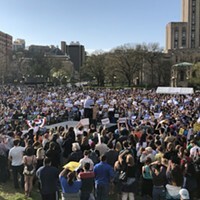 Bernie Sanders' endorsement of Hillary Clinton this week brought the two camps of local delegates together on Pittsburgh's South Side Wednesday night. 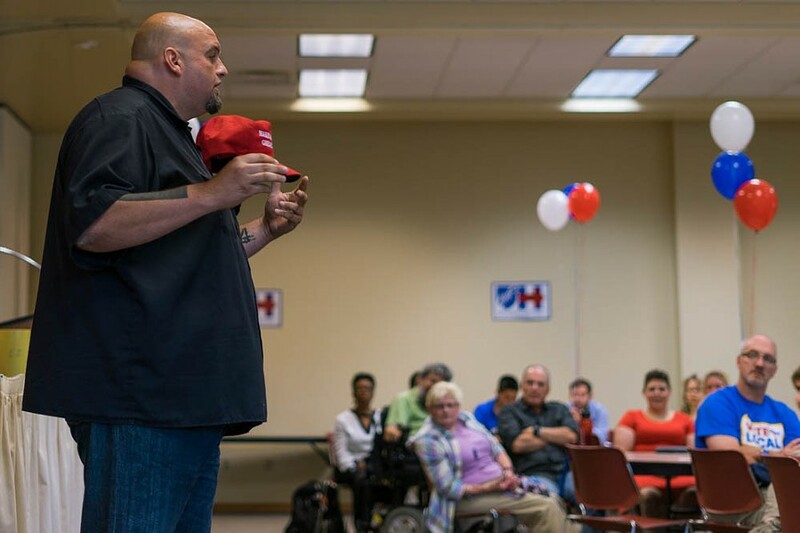 Braddock Mayor John Fetterman, who ran in (and lost) Pennsylvania's Democratic U.S. Senate primary, and who had endorsed Sen. Sanders, is now throwing his support to Clinton. “There’s far too much at stake to have hurt feelings,” he told the crowd. 2. 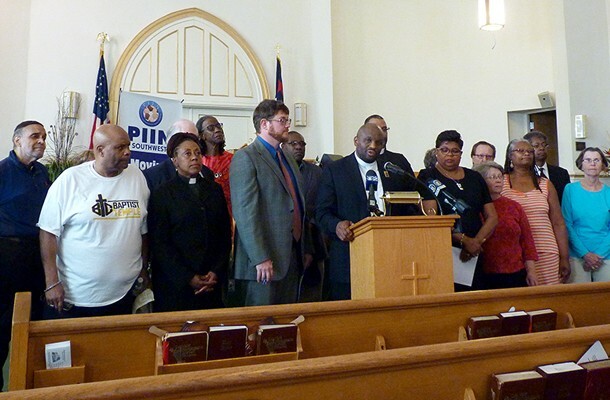 The Pennsylvania Interfaith Impact Network, a coalition of faith leaders, convened this week to discuss the issue of racism in policing. The meeting was spurred by the killings of Alton Sterling, in Louisiana, and Philando Castile, in Minnesota. “If our police are the best trained in the world, but we fail to deal with basic racism and the adversity of people of color ... our black people are arrested, locked up, and the worst possible outcome, killed,” said the Rev. Rodney Lyde, president of the organization. PIIN will hold a community meeting on July 21, at 7 p.m., at the St. James AME Church in Larimer. 3. 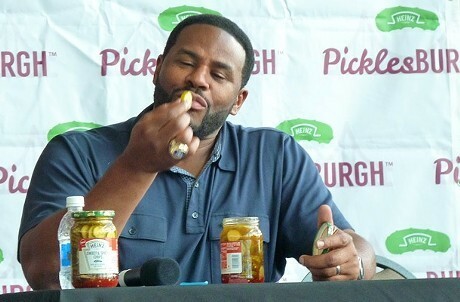 Steelers greats Jerome Bettis and Hines Ward endorsed two new Kraft-Heinz pickle flavors ahead of this weekend's Picklesburgh festival being held on the Rachel Carson Bridge (Ninth Street Bridge). The flavors: Spicy Garlic and Sweet and Spicy. Taste for yourself at the festival where both flavors will be available to try. 4. 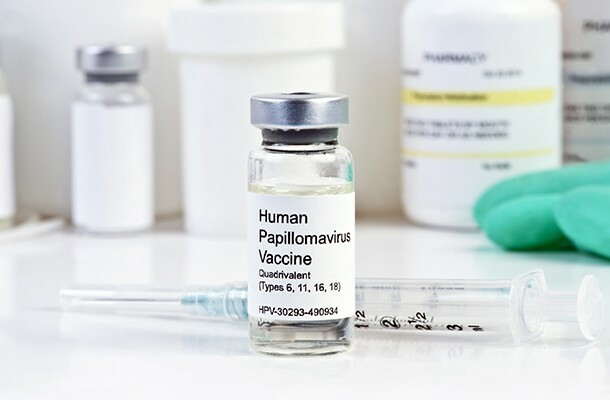 The Allegheny County Board of Health decided this week not to move forward with mandating the HPV vaccine for kids entering the seventh grade. 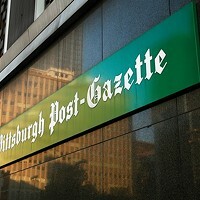 Since a June 22 public forum on the idea, the board has received 1,100 comments — 641 in support, 510 in opposition — making it one of the most-commented-on issues the board's ever discussed. Parents who say their kids have suffered injuries and illness after receiving vaccines came out in force against the idea, while board member Dr. Donald Burke, who's spent his life developing vaccines, said "I've watched them work over the years." 5. 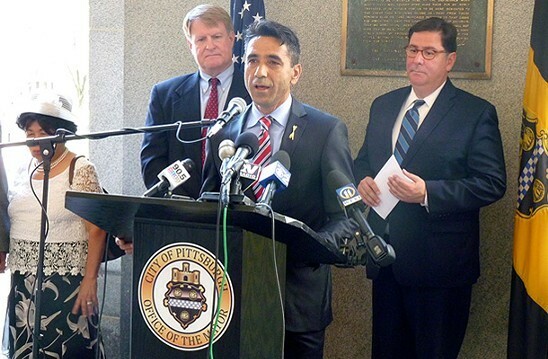 Immigrants are economically punching above their weight in Allegheny County, said officials at a press conference earlier this week. 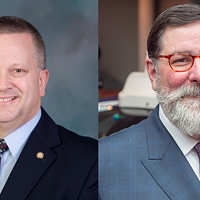 “A resurgence in our economy that is being fueled by people coming from other countries,” Pittsburgh Mayor Bill Peduto told attendees. 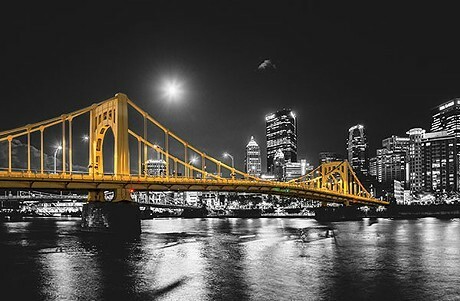 According to figures presented, immigrants in Allegheny County contributed $217 million in state and local taxes in 2014 and had a spending power of $1.8 billion that year. 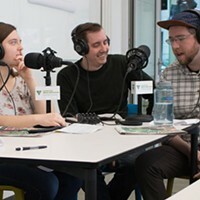 Sound Bite takes flight with the YMCA garden program and Neighborhood Nestwatch Pittsburgh to learn about urban bird populations. 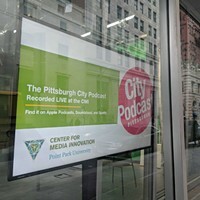 To hear more of our food-for-your-ears podcasts, visit our Sound Bite page. Our writers take you around the city in our 2016 City Guide, offering personal advice from where to find homemade ice cream and honey wine, buy used vinyl, get an edgy tattoo or check out punk shows. 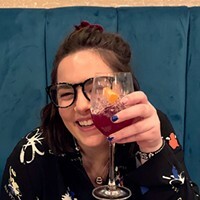 As CP editor Charlie Deitch writes in his intro to the guide, "When you see these recommendations, know that these are places we ourselves go — places we take our friends and family to." On May 4, 2011, frequent Pittsburgh City Council critic Yvonne F. Brown surprised everyone in council chambers when she hauled a cat out of her bag and presented it to Councilor Bruce Kraus. While Brown wasn’t much of a fan of Kraus (still isn’t, in fact) as a representative, she knew he was a cat-lover because he once asked Brown, “Why do you hate cats and dogs?” But when a neighbor could no longer keep the cat, Brown brought it to Kraus. Brown told city council: “This is to build a bridge between [Kraus] and me. … I don’t know how good of a council person he is, but he has a heart.” Read more to find out what happened to the cat, and to learn more about what happened this week in CP history.